Menlo students do wipers as a part of strength training during the school day. The exercise is meant to help with back mobility and flexibility. Staff Photo: Sylvie Venuto. 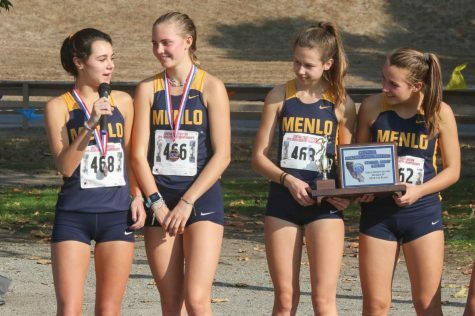 Strength training—the combination of weight lifting and sprint training—in the Menlo Strength and Conditioning program can help improve athletic performance, prevent injuries and benefit long-term health, according to Head Athletic Trainer Aubrey Yanda. 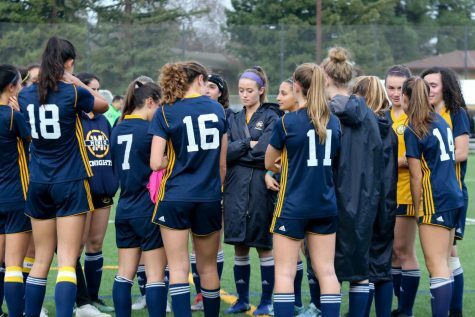 “My [first] goal for every team is to increase their athletic performance, make them better athletes; […] make the benchwarmer a contributor, make the contributor All-County, make the All-County All-Conference and make All-Conference All-Americans,” Strength and Conditioning Coach and Athletic Trainer Jesse Lindenstein said. 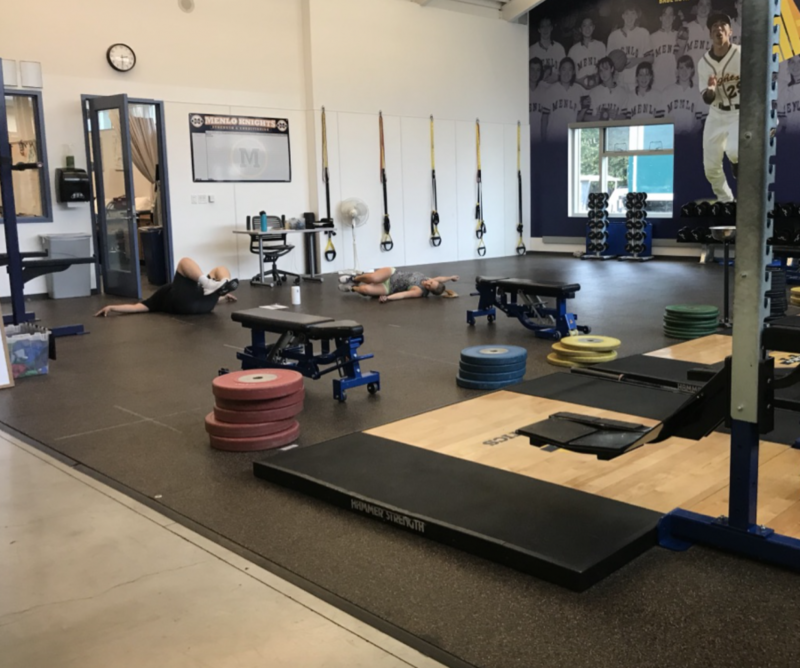 For athletic teams, the amount of strength training that they should complete during their season depends on their offseason program, according to Lindenstein. Athletic teams with weaker offseason programs should be completing strength training more often during the season than those with stronger offseason programs. The frequency with which athletic teams should participate in strength training also depends on their schedules. 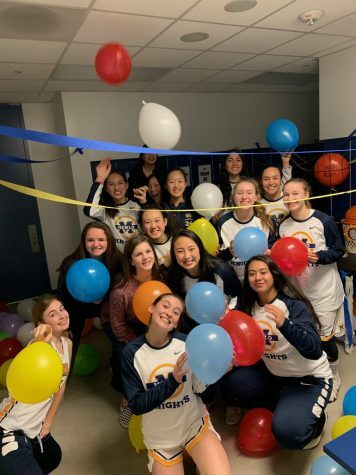 “If you look at a team like baseball, baseball might have four games in one week and then have two games the next week, so it’s kind of just a hard puzzle,” Lindenstein said. 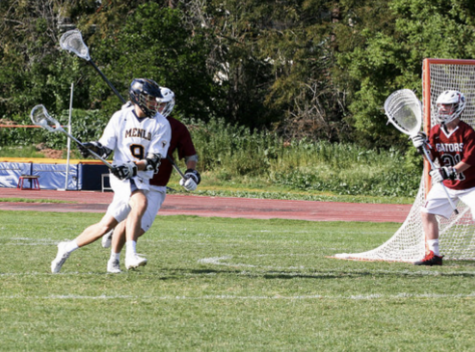 While athletic teams at Menlo currently do not have strength training on game-days, there is a potential performance bonus for completing strength training before a game. If athletes lifted 40% of their maximum weight, their performance will increase. “Your body doesn’t know the difference between a dynamic warm-up and a really light squat,” Lindenstein said. Power skips—where the athlete tries to skip as high as possible—, back skips and lateral skips utilize the same muscles as a lightweight squat, so the exercises could be used pregame. 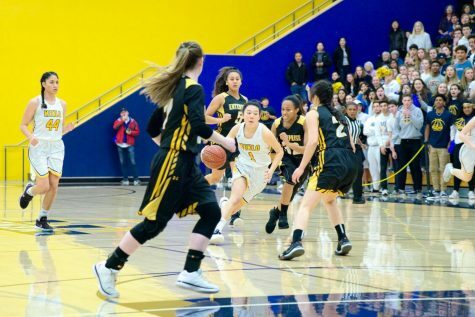 “You just have to be really smart about […] [lifting on a game day],” Lindenstein said. 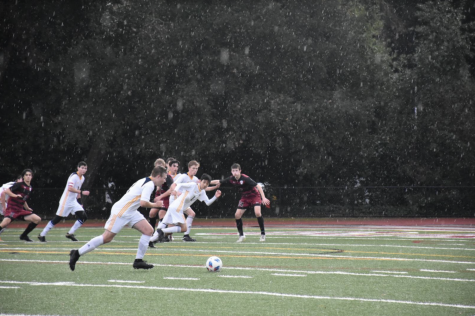 “I would love to let [athletes] […] lift on game-days,” Lindenstein said. 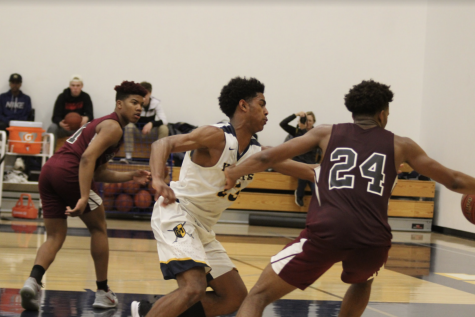 “The cool thing about […] [high school athletes] is all [of them] […] have pretty much an easy baseline, because […] [they’re] all maybe one year into […] strength training,” Lindenstein said. 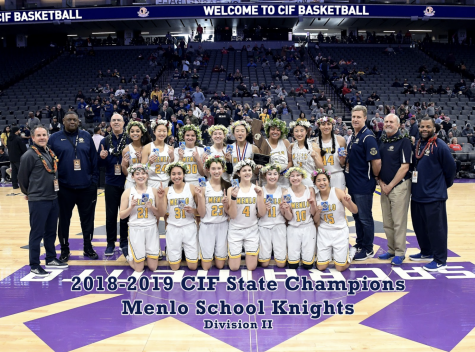 All high school athletes at Menlo should be able to do a pushup and pullup and learn to do a squat and some type of press exercise, but there is some variation based on the sport that an athlete plays, according to Lindenstein. For sports like baseball, volleyball and water polo, that require overhead arm motions, athletes do shoulder mobility, shoulder band pulls, shoulder “prehab”—to prevent shoulder inuries—and shoulder rehab—to recover from shoulder injuries—, to strengthen their shoulders for their sports, according to Lindenstein. The cross country teams do not have to do sprints as part of their strength training, because, while the explosive movements might have a slight benefit, the short sprints are not what is best for their long-distance sport, according to Lindenstein. 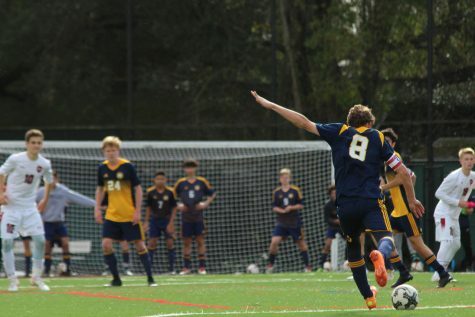 “Then my second goal […] is just to keep [athletes] […] injury free,” Lindenstein said. As students participate in strength training, they are increasing the loads on their tendons, ligaments and muscles, which strengthens them. When these parts of the body are strengthened, the risk of injury decreases, according to Yanda. In addition, engaging in strength training creates a balance between muscles like the hamstrings and the quads. “You want to have a muscle balance between those because if you don’t, then you’re going to be more predisposed for injury,” Yanda said. 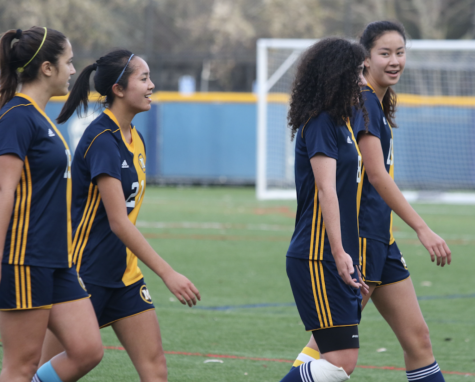 After high school and college athletics, participating in strength training has long term health effects including preventing osteoporosis and flexibility, according to Lindenstein. Strength training helps to build the density of bones, which can help prevent osteoporosis or slow down the effects of osteoporosis, according to Yanda. Osteoporosis is when the density and quality of bones are reduced, resulting in more fragile bones and making the bones more prone to fractures. Strength training can also improve students’ posture, according to Lindenstein. Often, during the school day, students are hunched over with their shoulders bent in, which can strain back muscles and bones. Exercises such as band pulls focus on strengthening the shoulder muscle groups. This causes better posture according to Lindenstein.